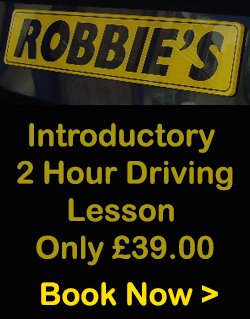 Pass your test quickly with a Robbie’s intensive course available in Bristol, South Gloucestershire, Weston-super-Mare and the Forest of Dean. If you need your licence quickly a fast track course could be just the thing for you. When people start their lessons they have various levels of driving ability. Some have no experience at all. Some just a little experience. Some are nearly ready to take their test!…….. Because of these different starting points we offer courses to suit you personally. Usually we can match the course to your own availability time. You don’t necessarily have to do lessons all in one week. They could be spread out over two or three weeks. In fact if you are a new starter your skills will sink in better if you spread your lessons out over a slightly longer period. £130 deposit will secure your booking. 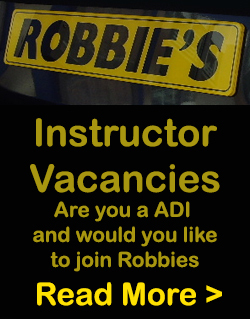 The remainder to be paid to your instructor when you start your lessons. 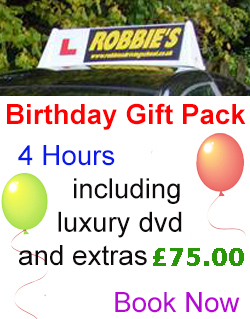 PLUS: The booking and cost of a driving test is included in the above prices. 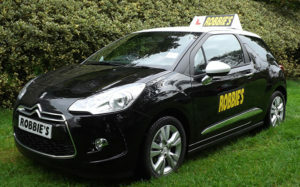 It also covers all lessons and taking your practical driving test in your instructor’s car. You will need to have passed your theory test before booking an intensive course. Should you wish to discuss your requirements please don’t hesitate to call us! Learn with an established quality driving school with a track record of success. Save money by having a course based on your own experience level. Times to suit your daytime availability wherever possible. Practical test booking included in the price. Flexible time span for your lessons – One to three weeks. Have your lessons and take your test in one of the latest model cars fitted with dual controls for safety. Greater Bristol, South Gloucestershire, Weston, Forest of Dean plus surrounding areas covered.